She shares more reflection on breathwork and leadership in the post below, which was originally posted on 1000 Petals’ blog. We’re grateful to them for letting us share Stephanie’s post with you here. 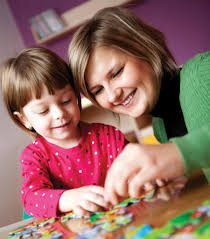 The Roman philosopher Seneca said, “While we teach, we learn”. This was my guiding mantra this week as I thought about extending our breathing techniques. I am blessed to work at a school that supports the Yoga Calm curriculum. 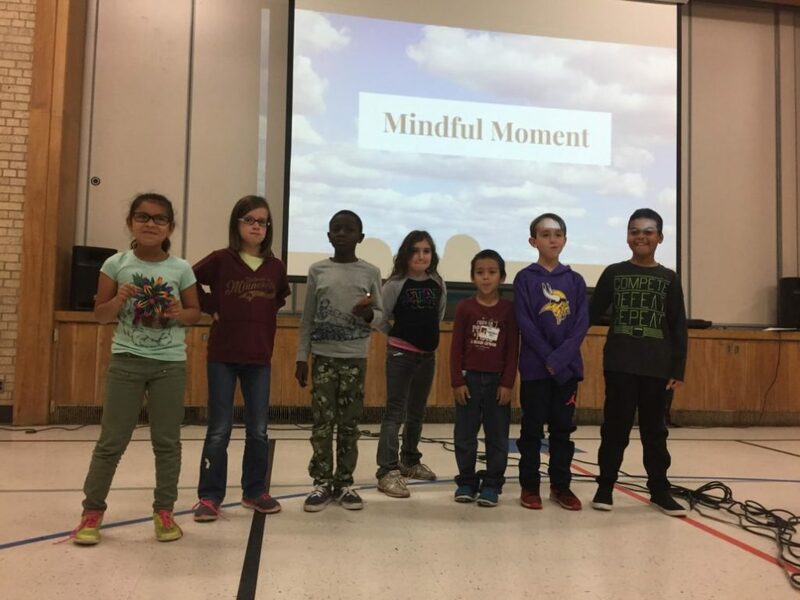 Our guidance counselor reached out and asked if I would lead a “mindful moment” at our assembly. I used this opportunity to have my students be the leaders. Six students demonstrated and lead belly breathing. (Blog bonus: Download our Belly Breathing card from the Move Mindfully Card Deck). We then led the whole school in the Calming Routine. 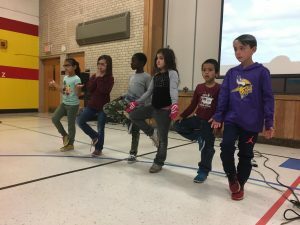 I had my six breath leaders stand up front with one student on a mat, as the Yoga Leader. I verbally cued the poses, while they went through the routine. The rest of my class was positioned down the center isle. This served not only as a visual for younger students, but this placement spread good energy. 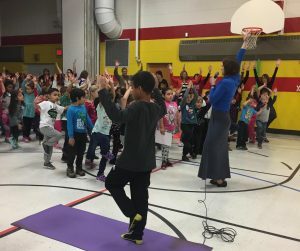 It was amazing to see all 500 of us… students, staff, parents- stand up, stretch, balance and breathe. This little “mindful moment” was incredibly successful. I received many positive comments from students and staff, and my leaders were beyond thrilled to “perform” their skills. When you learn something that so profoundly changes your life, it makes an impact when you can share that with others. The sensation of paying it forward. I decided to take this a step further. 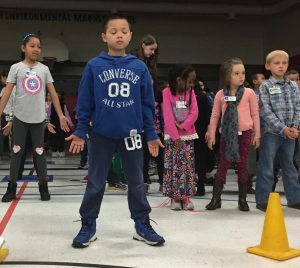 I connected with a Kindergarten teacher, excited to learn more about Yoga Calm, and suggested that my students come in to teach a breathing lesson. 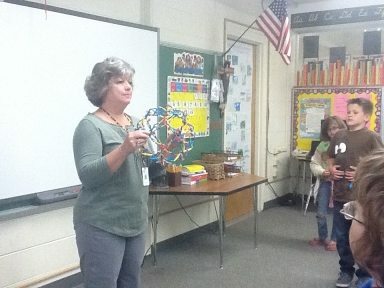 They began the lesson with an introduction to the importance of breathing and demonstrated belly breathing. Next, they went off into small groups. The third graders read A Boy and A Bear, a book that can be purchased in our store. This is a great little story that introduces calming breaths to younger children. 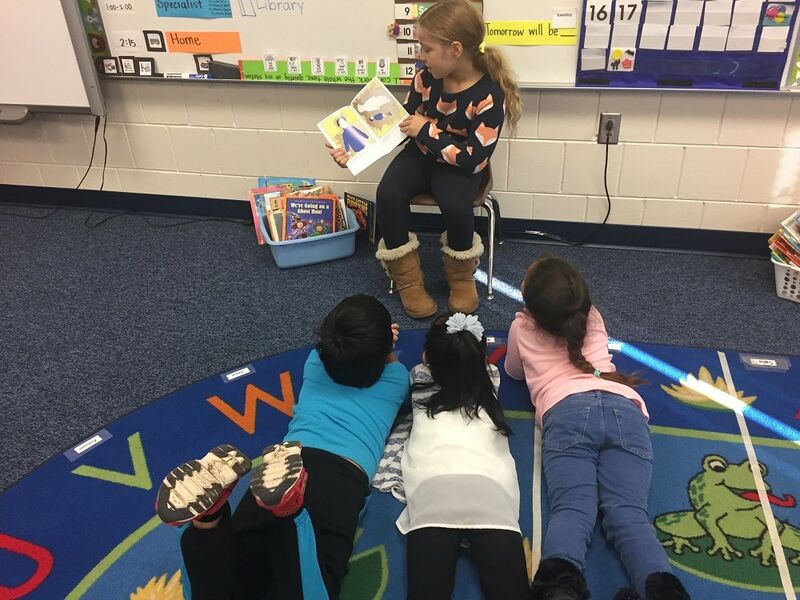 I saw my students read with expression and fluency. 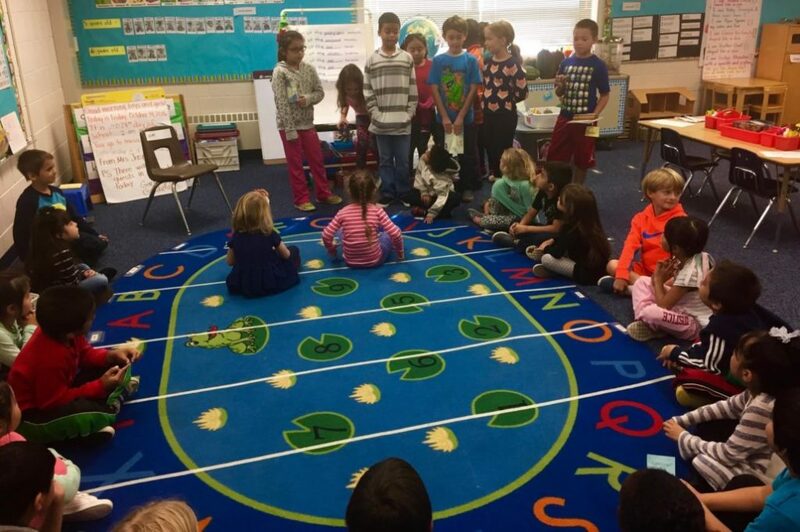 I saw them prompting their Kindergarten buddies with questions about breathing and praising calming strategies. We left their class with a copy of A Boy and a Bear to keep in the Take a Break area. What a great resource for students to use during times of agitation! Even if they are preliterate, the pictures tell the story. Learning to breathe builds strength and confidence. Becoming a leader helps solidify belief in your Self. Combining the two… has left a huge impact on my students (and me)! Do you have the opportunity to run a Yoga Calm mentor program? 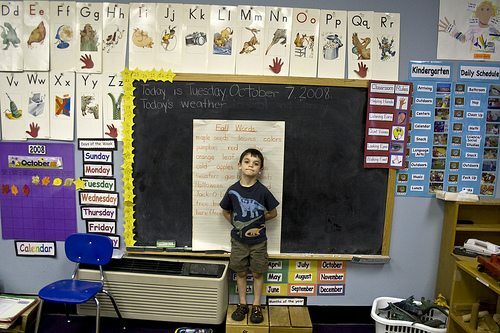 Could your students teach others the benefit of breathing? Leave a comment!